Nothing is more true to me than Glaser’s axiom “Art is Work”. His life and career are a testament to said philosophy. Only Glaser could command such deference from a client, “I don’t like to talk to anybody because I always want to have my way in everything,” he said. 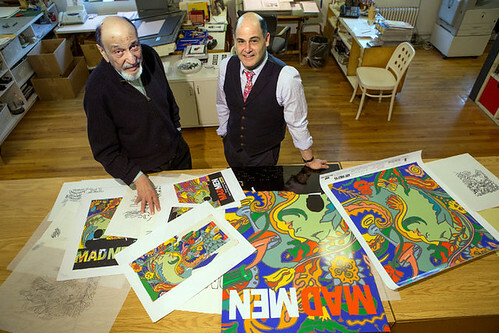 The Trippy ’60s, Courtesy of a Master: ‘Mad Men’ Enlists the Graphics Guru Milton Glaser is a great article with wonderful insights into Glaser’s mind. I suggest you click over and read it all and look for his work on busses and billboards next week. Can’t wait for the season to start. So cool! I didn’t realize he was doing these. Not a bad plan Rebecca! I know, I was so excited when I found out. I love that Weiner tries to find the original guys who did this work. 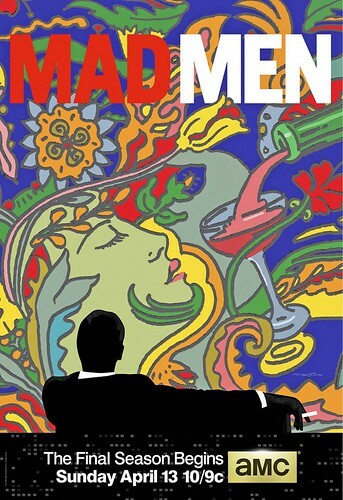 There’s a link to similar posts after the Milton one that has Brian Saunder’s work—from the last season. Check it out.